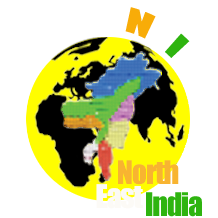 We take immense pleasure to introduce to you JourNEI, North East India 2018 organised by Don Bosco Institute of Management, Guwahati, aimed towards identifying and nurturing talent. 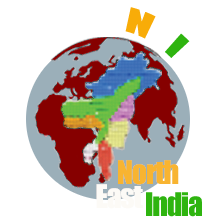 JourNEI 2018 will be organised on 6 and 7 March 2018 and shall allow a competitive and an interactive platform for the talented students of the region. To allow maximum participation and avoid overlapping of events, it will be a two day JourNEI for everyone. Day 1 (March 6) will focus more on management specific events. Day 2 (March 7) will host a number of generic events. However, the events are so attractive, that everyone will be eager to participate. 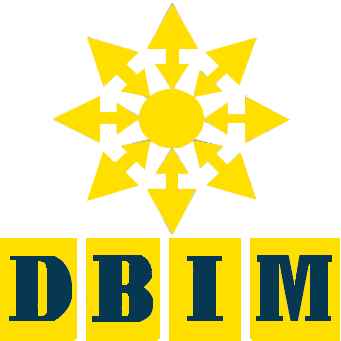 For directional guidance to DBIM, please click here. Team with maximum three (3) students from the same college may participate. A maximum of two (2) team will be allowed from each college. The medium of communication for the presentation will be English only. The teams will be allotted 15 minutes (10 min for presentation and 5 minutes for question answers). Teams will be judged on – Originality of idea, feasibility of business plan, supporting data, presentation skill, and Overall Impression. The judges' decisions will be abiding. Certificate & prizes will be awarded to 1st, 2nd and 3rd positions respectively in each event. No participation certificate will be issued. The decision taken by the Judges in each event will be final. No discussion will be entertained in this regard. It is expected that participants will maintain the dignity of the schools they represent. And they will respect the decorum and discipline of the college organizing the event. Team with maximum two (2) students from the same college may participate. The rules and details of event will be communicated at the venue of the contest. A maximum of three (3) team will be allowed from each college. The teams will be allotted 10 minutes to present the ad. The teams will be allotted 10 minutes to present the case analysis. A maximum of two (2) students will be allowed from each college to participate. The contests will have evaluation sessions like aptitude test, presentation skill, business quiz and stress interview. Team of two (2) students may participate, one for the motion and one against the motion. The topic for debate will be provided at the venue. Participants will be judged on – Content, Delivery & Articulation, Points offered or taken, Time management, Overall Impression. The rules and regulation including timing will be communicated to the participant by the judges at the event. Participants must present their college IDs at the time of registration. Team of two (2) students may participate. The Quiz master’s decisions will be abiding. A maximum of two students will be allowed from each college. Students can choose any language songs. Maximum time allotted for the song will be 5 min. Participants will be judged on – Voice quality, scale & rhythm, song selection, overall impressions. The contestants will have to bring their own track/ instrument. No musical instrument support will be provided apart from sound system. A team of two (2) students may participate. A maximum of three (3) teams will be allowed from each college. The participants will be judged on – Design, Clarity & Cleanliness, Utilization of space, and overall impression. A maximum of three students will be allowed from each college. Only traditional attire will be permitted. The ramp walk will be followed by a question round on the dress and other accessories. Participants will be judged on – Dress, knowledge about the dress and accessories, comfort with the dress and overall impressions. Team with 5 – 8 members can participate. A maximum of two team will be allowed from each college. Participants will be judged on – Coordination, Steps & Sequence, Participation by team members, and overall impressions. The contestants will have to bring their own track. Sound system will be provided. Only two teams from each college may be permitted. Each team must have 5 players (4 players and 1 substitute). Match time will be around 10 min. (Rotation at 5 minutes) with no offsides. Other rules will be communicated at the playground. The referee’s decisions will be abiding. You need to confirm your registration for the event again at the venue (DBIM) on the event day by 9:00 a.m.. Failure to do so may result in your providing an opportunity to someone else.